Do you see the purpose of these posters? 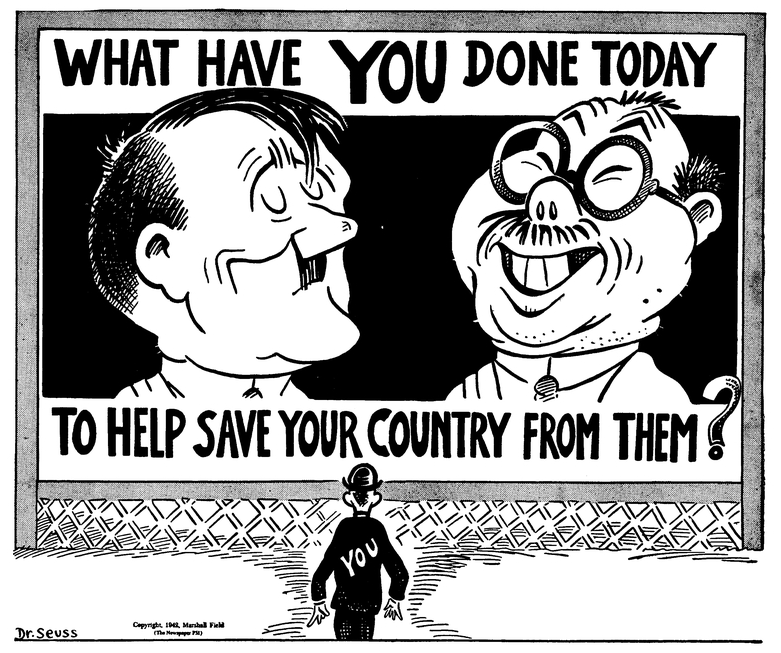 The American government wanted to convince the public that they would not be supporting the killing of Germans (who look like Caucasian-Americans) they instead would be killing Huns/criminals/savage beasts. 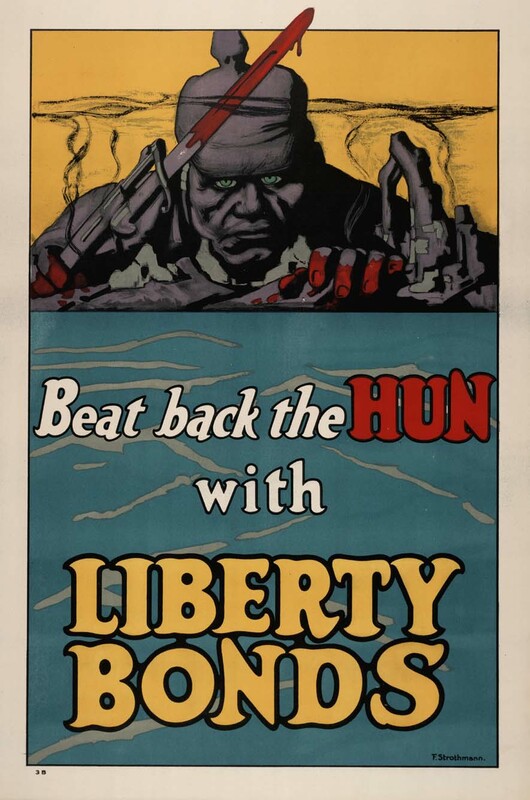 These Hun criminals that the troops would be killing have British blood on their hands and they are looming over the Atlantic Ocean prepared to strike against America. These German “beasts” have abducted and defiled a woman thus they have to be hunted and killed. 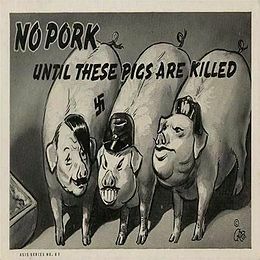 Observe how WWII Japan PM Hideki Tojo and Hitler are illustrated as pigs. 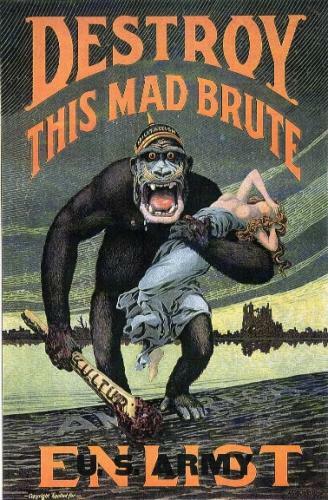 According to these posters, the American troops would not be slaughtering humans for the Germans and Japanese are not humans… they are merely pigs. Back to my original point: based on the posters that the Church Administration has marketed, misled brethren will strongly associate Bro. 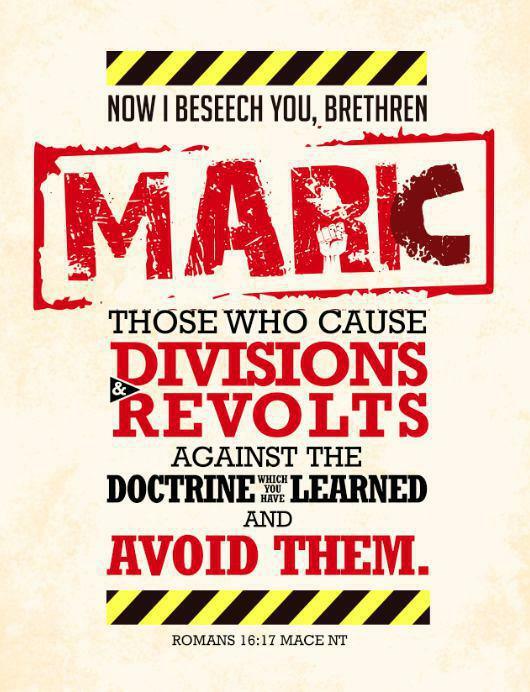 Marc with “division” and Bro. Angel with “Satan”. The caricatures of the family make them appear unreliable and not worthy sources of truth. Now which brother or sister in their right mind would side with Satan or those causing “division”? Or which of our confused brethren would choose to side with those who look like criminals or those that appear to lack the mental acuity to facilitate the restoration of the Church? None. Brethren do not support the Church Administration in these heinous campaigns against anyone, especially not our own brothers and sisters. Do not allow the Administration to remove compassion and love from our hearts. 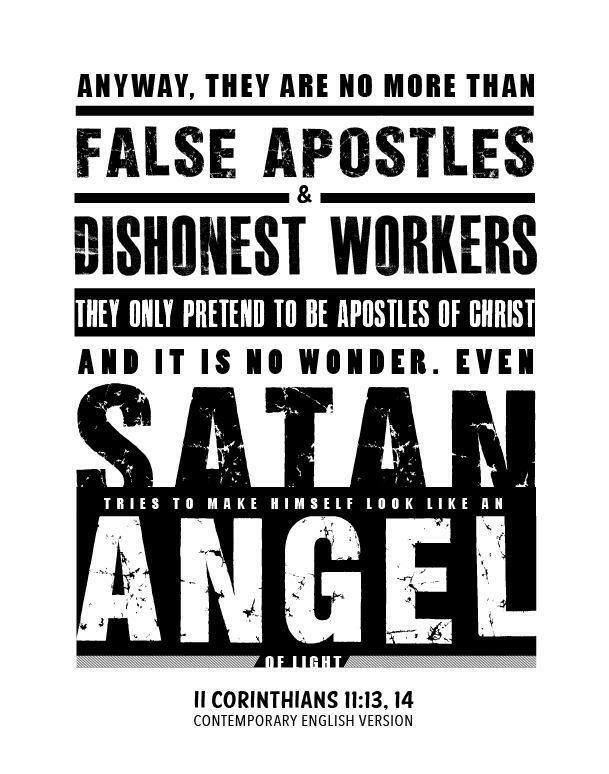 They will justify their actions as best as they could, even quoting the holy scriptures under false pretense of humility and love, but do not fall for it! Hold them accountable to their propagation of murder. Allow me to make this clear: despite what the truth is concerning the corruption within the Church leadership team, the Administration is wrong in their approach here. Wrong… dead wrong. What will God do to these murderers? That’s right, unless they turn their back on the paths of hate that they are walking on, God will cut them down and judge them (Matthew 5:21). So my warning to those who continue perpetuate hate within the Church: Stop now before it’s too late. Save yourselves. Save your families. Save the Church. God’s patience is great but if you continue to refuse His olive branch, His justice will be heavy upon you (Numbers 14:18, Jeremiah 44:22). What I don’t understand is.. Why Bro. Eduardo allowing these things to happen? Does he not watch TV, or read the news? Did he not know about the rally? Why doesn’t he do something if he really is the leader of this Church! Let’s CONTINUE in our regular fervent prayers to God for Him to continue working with His power to let TRUTH, JUSTICE and CHRISTIAN LOVE reign. WHEN YOU ARE THE LEADER, IT IS ALWAYS YOUR FAULT. i agree,its always a command responsibilty! 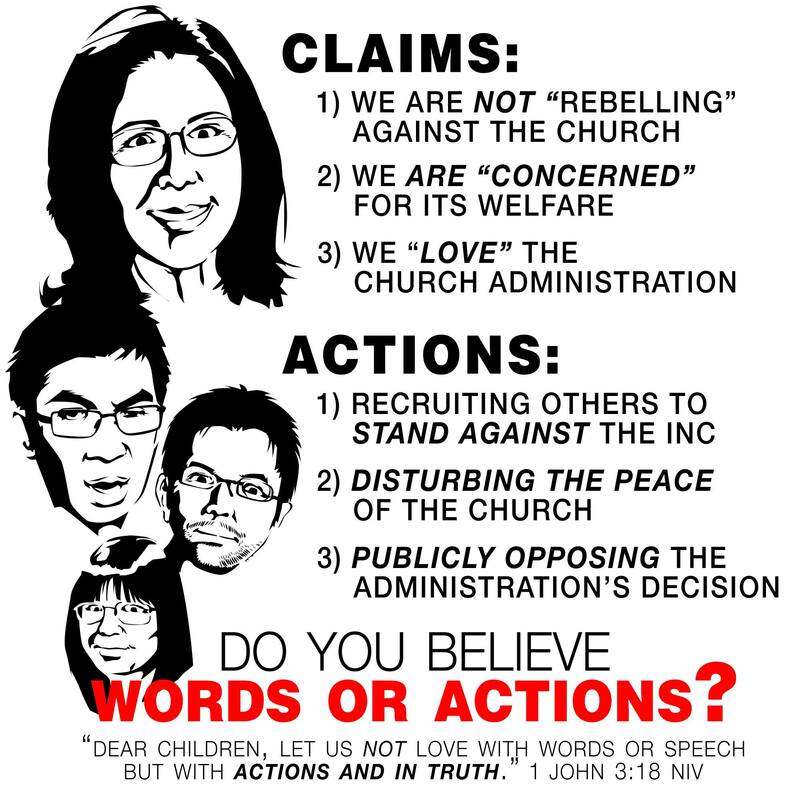 This smear campaign was promoted and sponsored by “Official” INC portals on the internet and social media (i.e. INCMedia, INCTV, Access the Truth, etc…). Ministers on Facebook also share these images and as expected, their member followers will do the same thing. Honestly, it is all very disappointing for us who were fortunate to grow up under the previous administration. I wouldn’t be surprised if these images started getting plastered on the walls and hallways of our chapels. The good folk at INCMedia have even begun interviewing regular brethren concerning their “reactions” to the “victorious rally”. What would be nice is if resident ministers would hold open forum discussions that welcome any and all questions brethren may have regarding the Church. Instead of them just shoving propaganda into our collective psyche.